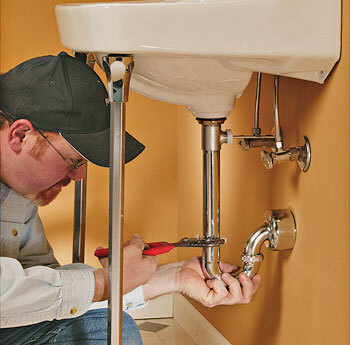 It is important to hire a plumber to help save you money in the long run and prevent further damage from occurring. Low water pressure throughout the house: This problem can be caused by a number of factors, such as obstructions (rust or debris) in the water lines; low water pressure from the city supply or a well; or even poor supply-line design. No hot water: Many issues could be happening inside the water heater such as broken heating elements, circuit breakers or blown fuses, faulty thermostats, or a bad overload switch. Or, the hot water tank could be leaking. Replacing a water heater: Think twice before attempting to replace a heater by yourself. Remember, we can carry your new water heater in, hook it up, and make sure that it works properly.